We are on Day 4 of the Mega Blogging Marathon showcasing bakes from around the world. When I was making a list I knew I wanted to try a few breads from around the world. Since the challenge allowed any baked good, sweet savory or in between it was the perfect opportunity to explore breads too. The Damper is a very popular classic soda bread historically made by travelers who went to remote areas with limited food rations. Damper is made with very few ingredients and is still made today in camping ovens or on hot coals. I've modified the classic recipe of only flour, leavening agent and water to suit our tastes, with the addition of a few more ingredients and herbs. The simplicity and ease of making this bread is a winner. Preheat oven to 375 F. Line a baking sheet with parchment paper. Combine milk and water in a measuring cup. In a large bowl, sift the flour, baking powder and salt. Add the grated cheese, dried herbs and chili flakes. Combine. Then add the butter and using your fingers blend the butter into the flour mix until they look like bread crumbs. Add the minced garlic and sun dried tomatoes. Make a well in the Centre of the flour and slowly pour in the milk-water mix. Combine with a wooden spoon or spatula until all the wet ingredients are added. If the dough appears very wet add about a tablespoon of flour at a time until it comes together. Remove onto a lightly floured surface and need for a minute. Form into a ball and place on the lined baking sheet. Flatten slightly and make indentations using the handle part of a wooden spoon. Brush on milk and bake for 35-40 minutes until light brown on top. The loaf should sound hollow on tapping it. That's a sign that the loaf is ready. Serve warm, with a slather of butter or cool completely and store in an air tight container. We all had a warm slice and it was a party in the mouth with all the fabulous flavors! i bet the boys would ask..the bread seems to have amazing flavors, the aroma can be sensed right here...super choice! Thanks for this wonderful modified bread Nams..I was originally planning to bake this...with all that modification, this one is surely a winner! This was my first choice of bread for the alphabet but because it was so bland, I left it out. I love how you have added the herbs and made it so flavorful. Looks wonderful! Wonderful bread with all the herbs in there! It was my choice for D as well but had to change it to something else!! Wow this bread looks super inviting. 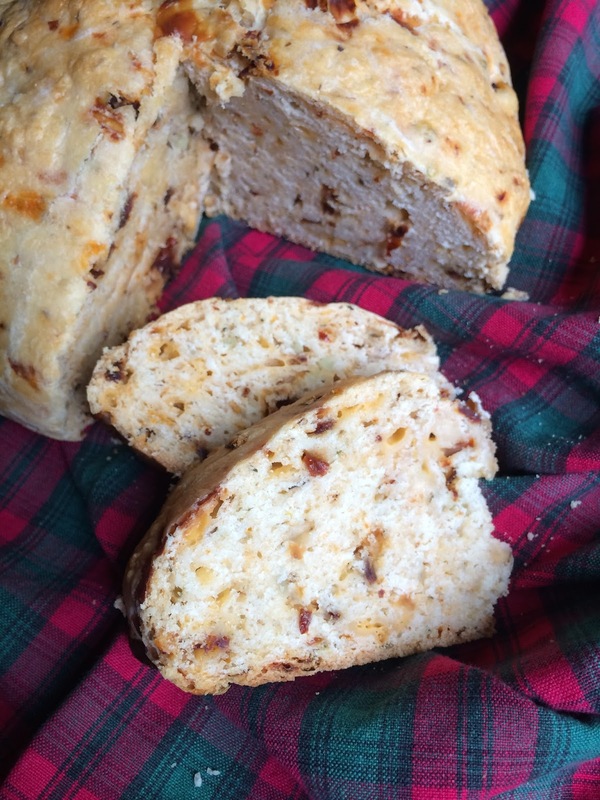 My daughter loves these savoury breads and I should bake this when she is around. Bookmarked!! Wow, that is such a flavorful take on traditional Damper bread. Love the addition of cheese and spices. 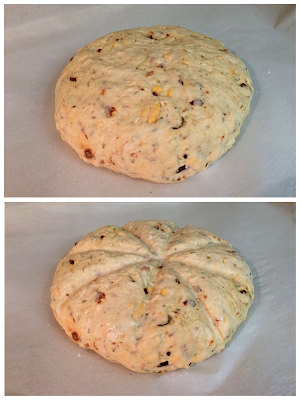 Damper with loads of cheese and sundried tomatoes looks ultimate, and this version of Damper rocks. Love the bread texture. Looks moist and soft. Love your take on the Damper bread. Great pick for D.
what a flavorful bread... It looks so soft inside. Should definitely try it. The spiced damper sounds do flavourful and has turned out perfect.